Why settle for only one? Any number of things have been warranted for driving men to offing themselves. Sometimes the reasons "why" dont tell nearly as much as the act itself. It may be a rare instance, since "why" is known to be the foremost of the six questions, but here is a case in point. 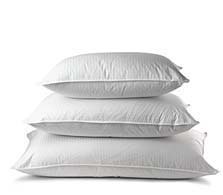 Pillows had been diagnosed with a form of social ineptitude. I dont know the specifics, but it should suffice to say that he had a payee. He received a monthly SSI check from the government for his disability and the payee was responsible for dispersing that money as he deemed necessary. By the time I met Pillows, he had convinced his payee to direct those checks toward keeping him alive on the Greyhound bus system. He would purchase an Ameripass for the maximum allowable of 60 days, then stop by Chicago on occasion to refuel with spending cash for food. By the time I met him, he was well into his third month living on the Greyhound. We swapped stories as we sat together for the drive from Denver to Fort Collins. His was the more interesting. Pillows told me he once gave serious thought to the subject of suicide, so serious that he developed a plan and commenced with it in the full intention of completing the task. His chosen route was suffocation. The experiment was spread through a series of a couple days. He was vague on the exact number. Pillows didnt always approach things with a full pre-developed knowledge, but he did have a determination in the method of trial and error that any scientist could learn to appreciate. So his first experiment was with a paper bag. I dont know if he actually expected the paper bag to fully suffocate him when he was in the act, but I do believe he was going, at least, for some level of unconsciousness. Of course, it was never reached. The paper bag simply wasnt enough to stop the flow of oxygen long enough. The next step was plastic. Pillows pulled a plastic shopping bag over his head, held the opening tight around his neck, and waited for the air to run out. The problem, he told me, existed in the minds instinct for survival. He found it impossible to hold the bag in place once the body recognized the danger. He could get as far as dizziness, get to the point where everything becomes dark and fuzzy, but his hands would always let go, and his inhales would always find breath. He tried doubling the plastic bag, then tying it at his neck, but the knot wouldnt become tight enough to cut off air completely. Finally, he decided to use a belt. I didnt think the belt would work. Its difficult to get one to fit snugly around a persons neck, snug enough to make a plastic bag airtight. But Pillows had a long neck, and the second plastic bag was enough to restrict the passage of air. Here, again, the minds instinct for self-preservation overrode his attempt. Pillows found that, rather than simply passing out, then eventually passing away, his body instead reacted with violence. His hands, with a will of their own, tore at the plastic until it was breached and the body could breathe again. He tried the same experiment a second time, just in case he could still reinforce his will long enough for the body to give, and I marveled at such determination in a young man. If everyone pursued their dreams as adamantly as Pillows, I imagine the world might see a vast difference. Still, however, his desperate clawing fingers broke through and his will was overcome. Pillows thought a while after this last attempt. I think this is where the extra day came in. He wasnt specific, but it sounded as if a period of contemplation was resorted to and he didnt return to his execution until the matter was given some thought. The bodys impulse would have to be overcome somehow. Obviously, plastic bags were not going to be enough. After some large amount of deliberation, Pillows decided to try pillowcases. It is for this brilliancy that I give him his name. He began with the plastic bags, two of them, then followed that up with two sturdy pillowcases, sealing it all with a tightly clasped belt. He waited for the air to run out, relaxed himself for the period of recycling carbon dioxide and nitrogen while his body used up the remainder of oxygen held within the plastic bags. When the familiar moment of panic occurred, he resisted it as long as his strength would allow. Once his strength ran out, conscious control of the will was gone. But he never lost consciousness. He told me that everything from this point on was enacted with a crystalline clarity. He may not have had control, but his senses never lost that acute focus. First it was the hands tearing at the cloth pillowcases. Nothing gave. Then it was fingers griping the belt. The fingers tried to tear the belt from the neck. In their panic, they couldnt undo the clasp. It was too tight. They pulled at the cases, trying to bring them through the belts grip. Here Pillows had prepared well. That belt was not letting go. With a third-person, omniscient view, Pillows watched his mind at work. The mind visualized the room with a picture from memory. This struck Pillows as odd since he had never had anything near a photographic memory. But here the mind took over. In this picture was a dresser. On the dresser was a pair of scissors. Without hesitation, without even the least bit of fumbling, Pillows right hand grabbed the scissors cleanly and his left pulled the pillowcase taut. The right hand began stabbing with a fanatical madness. When the pillowcases tore, it didnt stop. The right hand stabbed its way through the plastic bags as the left hand clawed them from his face. I saw the scars left from those scissors. I think it is absolutely fascinating what the human mind can do under duress. With a hundred guesses, Pillows could never have told that those scissors were on his dresser that moment, but his mind had no difficulty finding them on its own. Also, Pillows chose suffocation because he didnt have a tolerance for pain. It was simply not in him to stab himself. But his mind overrode that inhibition. Here is a case in which I found the "how" forever more enlightening than the "why" that preceded it. Of course, thats probably only because there are so many whys carried within. Why settle for only one?